Laurie Burke’s family has been criminals because of alcohol and the Prohibition and because of that she resolves to find at least one honorable man to fill her life. Even though she tries to find an honest man, she is a criminal magnet. Her bad run with men seems to be over when she meets federal agent Samuel Brown, because a man of the law can’t be a criminal, right? Daniel Shepherd moved from Seattle to his hometown to help run his grandfather’s drugstore and to run away from his past. He’s interested in Laurie, but unbeknownst to him, she believes he’s rum-running with her brother and isn’t interested in getting involved with another criminal. He’s trying to win her over but with missteps and misunderstandings running abound it’s hard to get her to like him. With Laurie showing an interest in Samuel Brown, Daniel must try and show her that he might not be who she thinks he is and show her that he might be worth her attention. As they grow closer Laurie tries to hide her brother’s illegal smuggling and her father’s drunken ways, and Daniel’s past begins to close in on him. Neither feel worthy of love but maybe God has other plans. Can Laurie finally find one honorable man or will she spend her life surrounded by criminals? Can Daniel show her that he’s not a rum-runner or will she always think the worst? How will Laurie react when she finds out about Daniel’s past? Is Samuel Brown who he says he is or is there a lot more about him then he appears? Can Laurie and Daniel’s budding relationship survive the prohibition or will it be crushed under the weight of the secrets they carry? Karen Barnett is a new author for me, but I must say that I’m glad I found her. I was first drawn to this book because of the cover and the era in which it was set. Once I found out what it was about I was all in and ready to read this book. My expectations when starting this book were pretty high and I so excited to see how this book turned out. This book not only met but exceeded my expectations and blew them out of the water. This author’s true talent lies in her impeccable characters. All of her characters are fallible and misguided in some area and all, well most, are lovable and easy to relate to. I couldn’t believe how well each character was formed or how deep each characters feelings went. I found myself feeling along with the character and that is a rare thing for me. I loved absolutely every second of watching these characters try and get out of the mess they had gotten themselves into. Her storyline is also incredible. 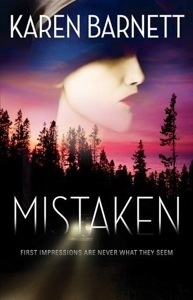 It has just the right amount of suspense, romance, and secrets. I never expected to be ripped into the storyline so quickly or fully and I enjoyed it so much I actually finished this book in one night. I actually stayed up late trying to finish this one and see how it would end. It was a real joy to see the story progress with a wonderful pace, incredible characters, and a beautiful love story. I think this story is my favorite of the year so far. Even the romance in this book is awesome. I got the perfect mixture of emotional connection as well as physical. Daniel is willing to do almost anything for Laurie and she can’t seem to stay out of trouble. I loved the whole set up an result and I loved to see their love in action throughout the book. Needless to say that I was impressed with the way this romance evolved and I don’t think I’ll forget it any time soon. The topic is set in history, during the Prohibition era, but I think there’s a lesson in there for all of us. Not only does this book show that God is better than anyone or anything and is always willing to forgive, but I also think it shows that alcohol can be a dangerous thing to tangle with. I also think the author did an amazing job depicting so accurately what alcoholism is, how it starts, and how to cure it. Her colorful and accurate depiction of an alcoholic made this story come alive and held me until the end. If I were this author, I would be so excited and proud of this book. This book not only is an amazing story and romance but it’s also and incredibly accurate depiction of alcoholism and I can’t imagine how many lives this might save or change. This book was so fantastic that this author and book just skyrocketed up to the top of my “favorites” list and aren’t coming down. This book comes very highly recommended. Overall, absolutely amazing book. I loved it so much I have not complaints. 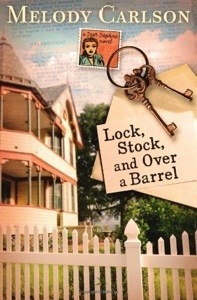 This book perfect for those who want a romance set in the Prohibition era and want a but of suspense as well. I think this book is good for adults and possibly teens. I give this book a five out of five. Akabe Garric has been chosen, against his will, to be king of Siphra. He’s a warrior at heart and never dreamed if or wanted such a swift unexpected rise to power. Despite his misgivings about his new role, he’s determined to prove his worth to the people of Munra and honor his Creator by undertaking a monumental task: rebuilding the Infinite’s Holy House in Siphra. If only the task only was all he had to worry about. When Akabe soon discovers that the land he needs is held by the ThaenFalls, known Atea-worshipers who will only give him the land if he marries into their line. He has no idea what to do, all he knows is that his choice, Caitria, is pretty and seems like she’s had a rough life like him. Though Akabe seeks the Infinite’s direction, he gets nothing but silence. Frustrated, Akabe makes an impulsive decision which sweeps his nation into a lethal storm that threatens his plans for the temple. With Akabe’s impulsive marriage to a controversial bride, Ela and Kien are forced to face what they feel for each other and when her father gives her to Kien, she must face her fears of her lifespan and those she’ll now leave behind. They also must face assassination attempts and another vision that will forever alter their lives as well as make them question how much time they have left. They must team up for righteousness and to survive but their enemies are persistent and they might finally succeed in killing the world famous prophet. Can Ela give up her fears for her death and her fears of who she will leave behind or will she forever refuse to love because of the unknown? Can Akabe turn his new wife to the Infinite or will he have a wife who hates his Creator forever? Can Kien, Akabe, Caitria, and Ela survive the assassins or will the assassins succeed in their task? Will Akabe and Caitria fall in love despite their differences or will they forever be unhappy in their situation? Can Akabe finish the Infinite’s Holy House or will he lose his life because of it and before it’s finished? I love this author and her first fantasy series. This series is absolutely incredible and this latest installment skyrockets it up to my “top five best series ever” list and it’s not coming off any time soon. I’m a bit sad it has to come to an end yet excited to find out what other fantastic fantasy novels she will throw my way. R. J. Larson has become one my all time favorite authors and I fully intend to attempt to he my hands on anything else she writes. Each book in this series was slightly different. The first focused on Ela and mostly revolved on prophesy, while the second revolved around battles and stubbornness. This one, revolved around love, survival, and trusting God and I must say that I think this one just might be my favorite of the three. This book hit close to home because I find myself doing things similar to King Akabe and so I loved this one and seeing every lovable character’s ending. and I couldn’t help but love her despite some poor choice and wrinkles in the road. The one thing I wish was a bit different was the lack of an intense “death-scene” for our prophet, Ela. In the other two books, Ela has nearly died and the intensity of those scenes and the feelings they evoke was greatly missed and gave the book a less urgent feeling that I feel would’ve worked nicely. Also, a small pet peeve, I really wanted to know how long Ela lived for but I guess that that is something the author didn’t want us to know. This author truly captivated me and made me a huge fan. 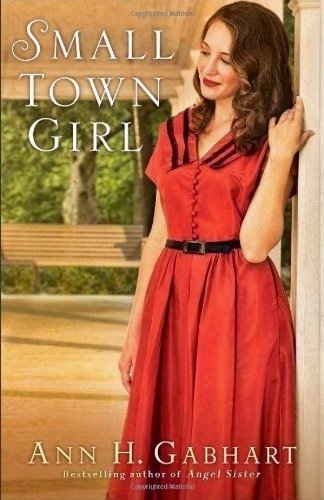 I’m eagerly anticipating the next book she authors and hope that I’m fortunate enough to get my hands on it. I don’t think I’ve this fully engrossed in a book in a long time, nor have I wanted something to be real as much as I’ve wanted my own destroyer. This author mastered this series and has a definite gift of storytelling. This author and series come highly recommended. Tom Bohannon has just watched in shocked horror as his archaeological find along with the entire Temple Mount was destroyed. Now he questions what it was all for and whether this find was worth the loss of his colleagues. He just wants to forget but outside forces make him remember and the phone call from the president asking for his help doesn’t help with his mission either. Now he must make a decision risk his life again or stay and keep letting his enemy win. The President needs Tom Bohannon and his team to find something that both Israel and the Muslim Brotherhood are looking for, the Tent of Meeting from Exodus. Israel wants it to make a permanent claim of the Temple Mount the Muslim Brotherhood wants it to destroy it. The President wants it to prevent WWIII and he needs Tom to do it. Tom is hesitant to accept another mission that puts him, his team, and his family in risk, but with the urging of his friends and colleagues and the adrenaline rush he gets when he even thinks about it, he decides to take his team and put themselves in the crosshairs of the Prophet’s Guard again to yet again change the course of history. If they can manage to stay alive while doing it. Can Tom and his team manage to stay alive or will their predators manage to catch them this time? Will the Israelis, the Muslims, or Tom and his crew reach the tent first? Will Tom and the President be able to hold off World War Three or will it happen despite their best efforts? Will Tom have to lose another teammate or will he be the one that is lost? This book was a book that I picked up on a whim and didn’t really expect much out of it. 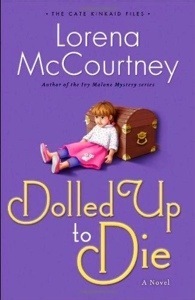 I didn’t quite get what I had expected as far as plot goes but what I got was full of intrigue and mystery. However, this book wasn’t my style and seemed too unrealistic for it to even be remotely plausible. Also, I think the fact that I didn’t read the first book of this continuation means I spent quite a bit of time playing catch up and was left behind. For me, the idea that the Tent of Meeting, being close to 2,500 to 3,000 years old, would still be there let alone usable is just ridiculous. The temple under the Temple Mount seems more plausible but still unlikely and that’s what the entire story hinges on, making it difficult for me to get into this story. I just didn’t believe it and that made me wanting to just skip to the end to see what happens. The characters in this book were at an outrageous number and made it so hard for me to follow because it seemed like each character had two names and had other people with similar names. Not to mention there are people, probably from the first, who just show up and I now have to try and remember them too. All of this made character development and growth almost nonexistent. I didn’t see much change in any of the characters and I was saddened by that because it’s one of my favorite parts of a novel. The plot, minus an excess of characters and unbelievable target, wasn’t that bad and all the action and mystery would’ve been enjoyable if it weren’t for the target and characters. Although I find it really hard to believe an ordinary citizen could escape a well trained assassin, I will admit that it added intensity and danger to the book and I’d be lying if I said I didn’t enjoy the effort. If this author works on his characters his stories would probably be pretty good and enjoyable. This author failed to capture my interest but that doesn’t mean you won’t enjoy him and his books. I think with a bit of work and growth this author’s books wouldn’t be half bad and I might even be a fan later on. However, right now I’m not, but I will be keeping my eye open for more and seeing if I enjoy anything else by this author. Overall, not my cup of tea and I had a hard time with plausibility, character development, and plot. I think this is perfect for people who want a different kind of suspense book. I think this book is best left to the adults. I give this book a two and a half out of five. Kien Lantec is on the first day of his military leave when the unexpected happens, he gets marching orders from his Creator, the Infinite. Orders that include going to ToronSea and warn them of their worship of a new goddess. This is the last thing he wants to do. What he really wants to do is race his destroyer and court the love of his life, Ela. What’s worse is that his mission doesn’t even utilize his skills as a military judge-in-training and he’s not happy about it. Ela Roeh of Parne, the newest prophet of the Infinite, has just been given some shocking and devastating news. Her beloved hometown has turned their backs on the Infinite and have started idol worship. She now has a mission from her Creator to go and warn Parne of their imminent doom and urge them to turn their hearts back to their Creator. Not only does she not get to spend the next two months with Kien but she’s now going to have to watch her birthplace be turned to ash and maybe with her still in it. With them both pulled in separate directions, they both must seek the Infinite’s leading and hope he will reunite them soon. But for Ela, part of her vision includes an ominous ending that she must keep to herself or scare everyone who loves her. Kien’s mission means he must listen to his Creator and do what the Infinite wants, even if it isn’t what he wants or if it means giving up what he desires most. Can Ela turn the hearts of her fellow Parnians or will she be forced to watch her city burn? Can Kien follow the Infinite’s leading or will he have to learn the hard way that the Infinite’s way is best? Will Ela survive the destruction of her city or will this be how she dies? Will Kien be able to fulfill his Infinite given duty or will he fail and see another city’s end? Will Ela and Kien get the chance to be together or will they be torn apart before they he the chance to love each other? I loved the first book in this series and was so ecstatic when this one became available and I must say that this one is even better than the first. The storyline has gotten even more intricate and the characters have gotten even more lovable. This book was so good, i devoured it in one day flat and loved every single moment of it. R. J. Larson definitely nailed this one and I can’t wait to read her next one. The thing I love most about this book, besides the destroyers, is the fact that though it’s a fantasy, it’s easy to see this world existing and the Infinite and the miracles of Ela all are similar to miracles in the Bible. So the transition from reality and fantasy isn’t that big of a leap and makes this world so realistic. It’s so realistic, that when I came up for air I felt that it was a real shame that this world didn’t exist and I wouldn’t be able to have a destroyer of my own. I’m still amazed that this author was able to create such a realistic world and captivate me so easily. I think this author has found her niche and I would be happy to read her fantasy novels until the day I die. Every character in this book has a different personality, even Scythe/Pet and the array of destroyers. It’s easy for me to imagine Kien, Ela, and every side character as a part of history and not imagined characters. In fact, every time I pick up a book in this series I wish I had a destroyer and I could ride into battle alongside the hero and heroine. Actually, I still want a destroyer and am actually a bit upset that they don’t exist. I love the entire cast and how each one’s story went through the book. This book is also set at an amazingly fast pace. This book literally doesn’t let up until the last page and it was so difficult to put this book down that I actually stayed up late trying to finish it. I didn’t succeed but I reluctantly put it down and woke up the next morning and started it up again. I couldn’t put it down and I loved the fact that the story pulled me along and didn’t let me go until I closed the book. This book definitely makes it onto my favorites list and doesn’t seem to be going anywhere. This author caught my eye with Prophet and has now latched on in this one and I’m happy to be latched into when it means I get a fantastic book out of it. I’m so happy this author decided to go into fantasy because if she hasn’t we wouldn’t have this series and the world would be deprived of a fantastic fantasy author. 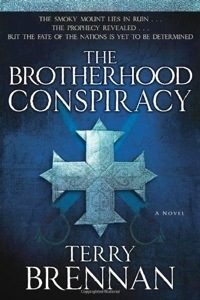 I highly recommend this book and series as well as any fantasy novels this author writes. 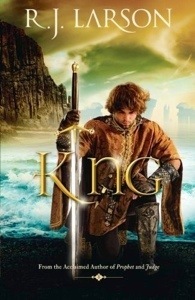 I’m now a huge fan and look forward to digging into King. Overall, I loved this one and have absolutely no complaints about this glorious fantasy novel. I think this is perfect for anyone looking for a realistic fantasy novel with a biblical feeling. This book is great for adults, teens, or tweens and is a great book to build their faith ad imaginations. I give this book a five out of five. Mary Magdalene’s life has always been ruled by men. After being ripped away from her first love to be thrust into a loveless marriage, Mary’s life is filled with misery and Roman life. Then, she meets a Roman man who makes her feel alive, but when tragedy strikes the weight of her sins threaten to overcome her and lead her to leave all her friends and memories and head to the place where her childhood was, a place where she receives the ultimate healing. She moves to Capernaum and tries to put the broken pieces of her life back together. Then, she meets a man who seems to have the answer for all her guilt and sins, a man who’s a teacher, a man by the name of Jesus. Jesus teaches her things she never knew and shows her that forgiveness isn’t that hard. She knows this is the Messiah, the Son of God, but the danger surrounding Jesus gets worse and Mary has a feeling her time with Him is running short. So as the tension rises, Mary becomes a follower of Jesus Christ and soaks in His teaching whenever possible. But when the Sanhedrin becomes enraged at Jesus and issues an arrest warrant, Mary must face the harsh reality of what is going to happen to her Lord and must make a choice run and hide out of fear or stay by His side no matter the cost. Which option will Mary choose? Will Mary finally learn forgiveness or will she forever be mad at the people who hurt her? Will Mary be there to see Jesus resurrect or will she be hiding in fear? What will Mary do when she finds out her Lord has risen? How will Mary be help to the Son of God? Will Mary marry again or will she find it easier to stay single and help others? I was so excited when I got the chance to read another book by Joan Wolf. After all, I loved her take on Queen Esther and how her life went. However, I’m not totally sure what I feel about this one. I enjoyed her take on Mary’s life but I feel like she kept trying to mush two different Mary’s together and call them one, Mary Magdalene and Mary of Bethany. I don’t think there’s any biblical evidence that supports that theory and for me that was the biggest obstacle for me to hurdle. The Mary throughout the entire book was Mary of Bethany sister to Martha and Lazarus but in key points of the book the author smashed Mary Magdalene into Mary of Bethany’s life and decided that worked. She also mashed two other Mary’s together as well, Mary the mother of Jesus and Mary the mother of James and Joses. Just like the other two Mary’s I’m not positive these two where the same woman. To me the fact that this happened shows a lack of research on the authors part and severely injured the book in my mind. If the author had just left Mary Mary of Bethany and not added aspect of Mary Magdalene to her this story would’ve been fantastic. It’s a story of redemption and forgiveness and it hits home to anyone who’s ever done anything they’re not proud of. It also brings a woman’s perspective to the life, persecution, and resurrection of Jesus which is something that doesn’t really happen. The book is written in first person which allowed me to see the pain and guilt that Mary carries but it doesn’t really help for description or for getting inside anyone else’s head. I didn’t really love that. I liked how it showed her pain but I hated how she was the only focal point of the novel. I wished someone else’s point of view was spotlighted instead of just shown from her point of view. This author made me fall in love with her account of Esther, but this book wasn’t a hit for me, I felt a lack of research in her Mary mushing and I didn’t like her first person POV. I can’t give up on this author completely, though. Esther’s story still has me captivated and makes me want to read more from her just so I can find that diamond that I crave. Overall, I didn’t care much for this one. The POV wasn’t great, but the biggest thing was Mary mushing and it really reverted me from getting into this one. I only recommend this to people who want a good storyline and can ignore conflicting messages. I don’t recommend this for anyone other than adults because some content is a bit questionable for teens and definitely Tweens. I give this one a two out of five. Like biblical fiction or why you want to start reading it. It’s that easy! 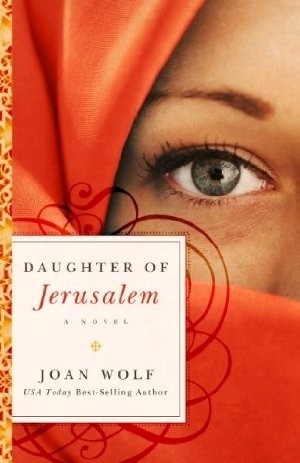 Then, on the 24th I will randomly pick one person to receive a copy of Daughter of Jerusalem by Joan Wolf and will let the lucky winner know within a day or two. So go comment because you only have seven days! Claudia’s life didn’t start easily. She’s the illegitimate daughter of Julia, reviled and exiled daughter of Caesar Augustus, and she spends her childhood in a guarded villa with her mother and grandmother. When Tiberius, Julia’s ex-husband who hates her, takes the throne, Claudia is ripped away from her family to be brought up in the palace in Rome. Her life is spent feeling adrift – until she meets Lucius Pontius Pilate and becomes his wife. Claudia’s life finally has meaning. She finally has her anchor she needs, but everything he’s ever known and wants is tested when Pilate is appointed Prefect of the troublesome territory of Judea. She does what she’s always done and tries to make the best of it, but unrest is brewing on the outskirts of the Roman Empire. Riots begin and the stubborn people refuse to give in, threatening Pilate’s job before it’s even begun. Claudia soon finds herself embroiled in controversy and rebellion. Little does she know the impact her husband will have on the world as we know it and what his part in it means for our salvation. Claudia becomes interested in this man who brings peace, love, and healing to anyone who comes near and she can’t help but see what’s different between him and the prophets for her gods. Will Claudia find peace and healing in the mysterious Jewish Rabbi everyone seems to be talking about or will she forever think him a false prophet? Will Claudia become a Christian because of her husband or will bitterness be too deeply rooted? Will her husband understand her fascination with Jesus or will he think that she’s fallen off the wagon? Having read Diana Wallis Taylor’s last book about Mary Magdalene, I was excited to get the opportunity to read another book by her, particularly since it is about the wife of Pontius Pilate. However this book was a bit of a disappointment for me because of the creative liberties she had to take in order to make a story out of a woman who was mentioned once, possibly twice, in the Bible. I also think that some of the liberties she took were a bit unrealistic an unlikely, which made this story that much harder to read. The best part of this book was the tiny bit about Judea and Jesus. The descriptions the author uses to describe Judea really allows you a vivid picture of what it looked like back then and how gorgeous it was. I also really liked the ability to have a different look a Jesus and his miracles. The outside looking in view was unique and something that I actually really enjoyed. Because Claudia is only really mentioned on in Scripture, the author had very little to work with as far as biblical and even historical accounts, thus forcing her make most of it up. 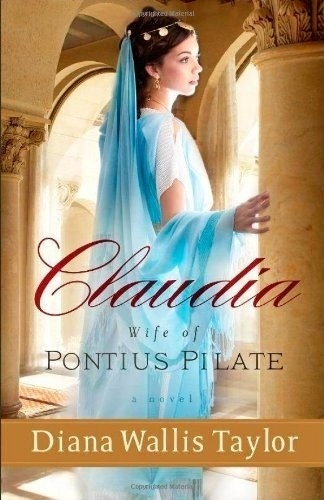 The author is banking on the fact that the Claudia mentioned in 2 Timothy is the same Claudia as Pontius Pilate’s wife. Personally I have my doubts that Claudia was saved by the acts of Jesus, but I hope that she was and would love for that to be true. I also think the story kind of lost its focus closer to the end. It started out strong but after the death of Jesus the story slowly starts to go downhill. Then, when the story has only a few chapters left, it spirals out of control like a airplane plummeting to earth. It went from plausible to unbelievable and from has focus to “I have no idea where this story is going”. Even though I appreciate the author’s attempt to lighten up the story, I wish she would’ve left it a dismal ending like I assumed it would have. I think that some of you will love this book and I appreciated the new perspective it gave me, but this book just wasn’t for me and was only a disappointment. I loved this author’s story about Mary Magdalene and wanted to like this story about Claudia, but I felt that this story was abut of a stretch. However it was inspirational and showed a different side to Jesus’ ministry than I’m used to seeing. I still plan on reading more from this author, but I hope next time she picks a little less controversial and iffy topic. Overall, not my style and I find most of it hard to believe but some of you will probably like it. I think people who like books loosely based off people will like this one. I think this book is best left to adults because of so adult content, for Christian fiction, and because this book needs some good biblical discernment. Overall, I give this book a two and a half out of five.